At Nieco, we know that what’s good for one kitchen may not be good for another. That’s why we offer customers options when it comes to choosing the flow design that best suits their operation and compliments their menu offerings. It’s also why we offer multiple belt and feeder configurations, and add-on options designed to enhance cooking flexibility, promote a smoke-free working environment, and more. Explore the different ways you can customize your Nieco broiler, and if you have questions, please don’t hesitate to contact one of our helpful sales representatives. 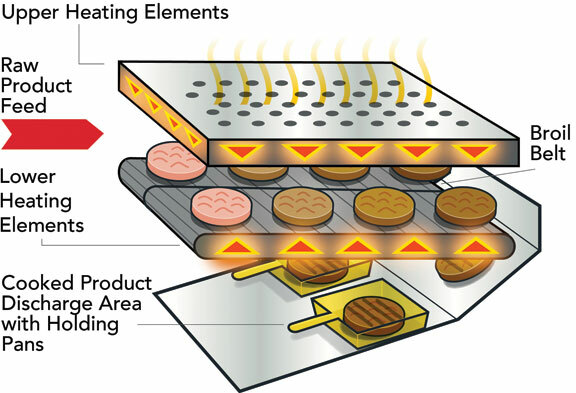 Broilers using Nieco’s Flow-Through design consistently cook products on one or multiple belts, and then deposit them, fully-cooked on a holding tray that sits at the back of the broiler. Our Flow-Through design is perfect for any menu item that will be collected and utilized right away by kitchen staff. Menu items that may be somewhat fragile or large, kabobs, vegetables, fish, menu items in pans, steak, chicken, ribs, burgers, and more. Available with or without a bun grill, and in natural gas, propane or electric configurations. 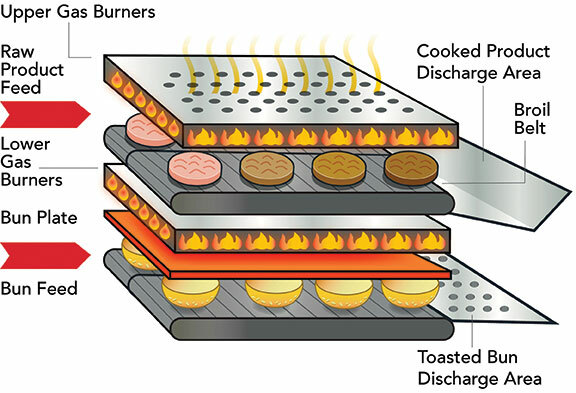 Broilers using Nieco’s Return-Flow design consistently cook products on one or multiple belts, and deposit them, fully-cooked, into holding pans underneath the broiler’s heating elements. Burgers, ribs, chicken breasts or thighs, pork chops and more. Available in natural gas, propane or electric configurations. Choose from a range of belt numbers and sizes – Most of our broilers come with single or dual belt options. Several come with triple belt options. The dual belt configuration allows you to cook different products at different speeds simultaneously. Choose your feeder – Nieco’s push bar option allows you to take advantage of labor savings by stacking your frozen product and walking away. Our wire belt option allows you to cook a variety of fresh or frozen irregularly-shaped products. Increase your cooking flexibility with multi-product control – Want to cook chicken on one belt and burgers on another? No problem. Our multi-product control option allows customers to program multiple products for a single belt and easily switch between those products to fulfill customer orders. Enjoy a smoke-free kitchen – Keep your kitchen emissions low with our Incendalyst™ emission control system. 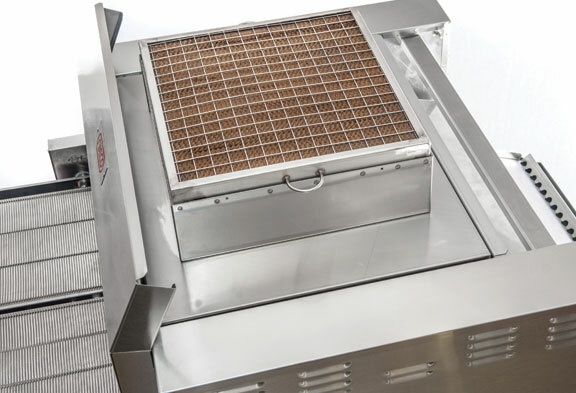 Add a heated discharge area – Our optional warming element is a short-term heat source that keeps your product up to temperature until the PHU pan is full and ready to be moved to your product holding unit. Contact our sales team today to discuss options and request a free estimate. We have two stores with flat grills.  When we switched over to the Nieco, the first thing we noticed was the flavor. 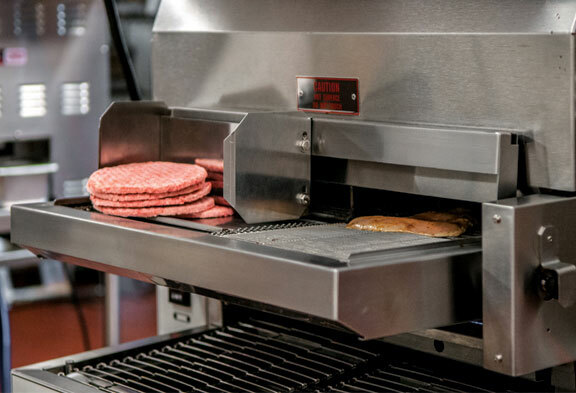 Going from the flat grill (where [burgers] cook in their own juices, basically steaming themselves until they’re done) to the flame broiled flavor of the Nieco – there is just no comparison. It is such a better product! It reminds me of a barbeque at home. Customers also commented on how good our burgers were as soon as we switched over to the Nieco.